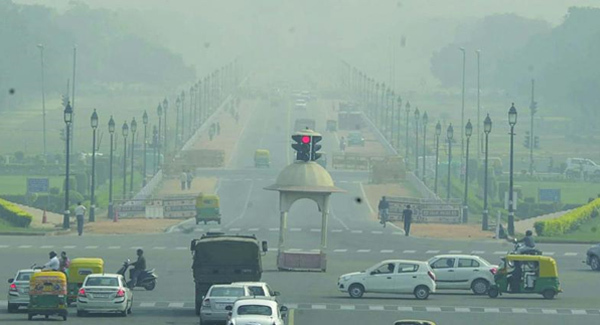 Delhi officials will install over 50 outdoor air purifiers at major traffic intersections this winter to tackle air pollution. However, sceptical experts have termed them as “a distraction”, and instead called for cutting toxic emissions at their sources – such as from vehicular exhaust, particulate matter (PM) emissions from the region’s coal-fired power stations and from bursting fire-crackers during Diwali. To check the menace of paddy stubble burning, the Punjab government will appoint nodal officers in 8,000 paddy growing villages to keep a check. An estimated 15 million tonnes of paddy straw is burnt by farmers for easy clearance of the fields, directly impacting Delhi and surrounding areas, choking them with deadly smog, which is expected to rise this winter. Transport minister Nitin Gadkari said Delhi’s air pollution will decline by 50% in two months, “once the Haryana ring road is ready and vehicles bypass Delhi”. Meanwhile, Delhi’s environment minister Imran Hussain called for strict dust control at construction sites and on roads. The Minister also reviewed action being taken by agencies and departments on the Graded Response Action Plan (GRAP) . The Centre is also mulling randomised third-party audits of power plants to ensure compliance with norms.